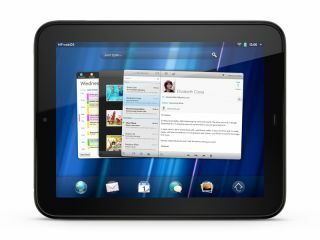 HP may have been in the news in 2011 for its boardroom antics more than its products, but now it is coming to light just why its plans for webOS went awry. According to interviews with a number of ex-Palm and -HP employees, it was because the technology behind its mobile operating system was just not up to scratch. Speaking to the New York Times, Paul Mercer, who used to be the senior director of software at Palm, said about the OS: "Palm was ahead of its time in trying to build a phone software platform using web technology, and we just weren't able to execute such an ambitious and breakthrough design. "Perhaps it never could have been executed because the technology wasn't there yet." Mercer believes that basing webOS on WebKit meant that it would never match the likes of the iPhone when it came to speed and the open source software also didn't capture the imagination of developers. And no developers meant a lack of apps, which are now bread and butter for all phone users. "If the bar is to build Cupertino-class software in terms of responsiveness and beauty," explained Mercer, "WebKit remains not ready for prime time, because the web cannot deliver yet." There is hope for webOS, however, and it has come from the healthcare sector. According to Mobile Health News, researchers from Stanford University have developed an app for the HP TouchPad which "operates an interventional MRI scanner and view patient respiration data". The reason the TouchPad was used was because of its plastic chassis – metal isn't good next to an MRI scanner – and webOS' multi-tasking support.